In the very East of Kingston spans the district of Kintyre that is surrounded by the mountains on three sides and a river on the fourth, the West side. It is that very area that Jeffrey Campbell aka Sasco hails from. The rather unpretentious community on the outskirts of Jamaica’s capital is every now and then threatened by its flow, when heavy rain or hurricanes turn the stretch of water into a torrential flood that washes out houses and its only connecting driving bridge to leave residents cut off from the rest of the city. Apparently that has also left a lasting impression on the artist formerly known as Assassin, as he named his fourth studio album after the Hope River. After Infiltration, Gully Sit’n and the Theory Of Reggaetivity in 2016 deejay and singer Sasco is now more than ever reflecting on his past and the community he was raised in, bringing forward a record that, as he explains, “is a representation of where I am musically, mentally, and spiritually”. 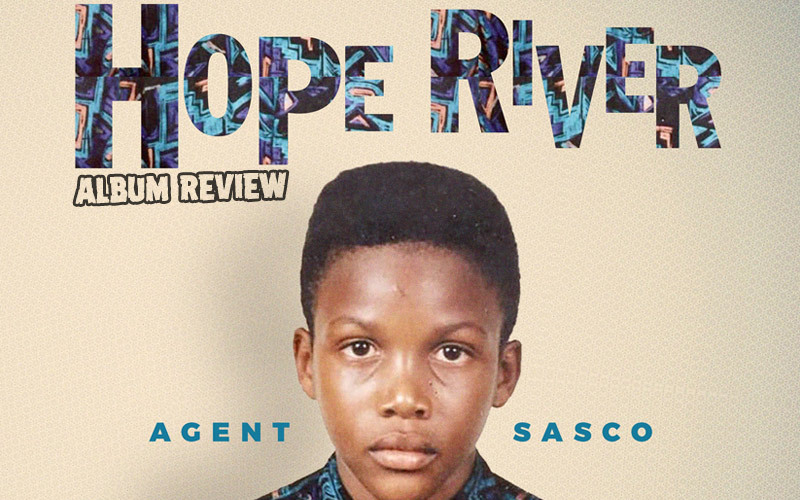 Indeed Hope River has a modern sound, yet a nostalgic vibe. It creates an atmosphere of humble beginnings, gratitude and spirituality – core values he was instilled with, as the artist explains. It has a melancholy to it, yet never a spark of pity or complaint. In fact, it is packed with messages of hope, motivation, diligence, and endurance and reveals a personal side of Sasco that we haven’t heard to that extend before. Musically the record is often post-modern. Beats built from industrial sounds with synths and choral backing chants are the foundation of Energy River, the opening track. Also So Blessed featuring a perfectly fitting Dre Island is embedded on a minimalistic rhythm decorated with bells shifting from darkness to hope in the form of an edgy, modern gospel. Indeed a Gospel is the previously released Mama Prayed that features one of the genre’s biggest stars from the island Glacia Robinson. The songstress graces the uplifting track with her powerful voice and breath-taking sensitivity and soulfulness at the same time. It is an ode to the vocalist’s mothers and yet another story of gratitude. In fact Sasco is ever so often giving thanks, for his upbringing, his experiences, the lessons learnt. Also the elegiac Banks Of The Hope tells of the life in Kintyre, survival stories of communal cooking and making a living without using guns or selling drugs narrated with amazing word play, rhymes and metaphors, that fans can fully experience with the previously released lyric video for the song. Even though most tunes deal with personal issues, feelings and history Sasco doesn’t miss to address political issues. Together with Ghanaian superstar Stonebwoy, Kabaka Pyramid and Spragga Benz he presents Change that speaks of the mother continent Africa and touches topics like the robbing of resources and political entanglements, trials and tribulations of people like former Libyan leader Gaddafi. Even more guests are featured on the motivational hymn All Aboard that welcomes no less than nine colleagues lending their voices like Tessanne Chin, Romain Virgo and Wayne Marshall. The latter also joins Sasco on Journey, a dark, massive, speedy Dancehall single with a hypnotic keyboard melody, sprinkles of acoustic guitar and tough synth chords describing the roughness of ghetto life, walking barefoot but never looking back sad or sorry yet appreciative of all the stories experienced that had them come from riding a coaster bus to travel on the tour bus today. Overall Hope River is an intriguing listening experience that made me have the hardest time to decide which track to put on replay first. The lyrics work like a magnet to the ears drawing an intimate portrait of the artist, that many others often shy away from getting caught up in empty stereotypes and phrases. The music is diverse, spanning from Gospel to Reggae and Dancehall and even Hip Hop, while still being consistent like a unit. Guests appear in abundance like songbird Sevana or veteran Stephen Marley and even Buju Banton is included. In the excerpt from a 2004 interview he is quoted with “I personally feel like the likkle artist name Assassin has a great future ahead of him!” - Man, he was so right! And this might even be the best piece of work this not so little anymore artist Sasco has released so far.